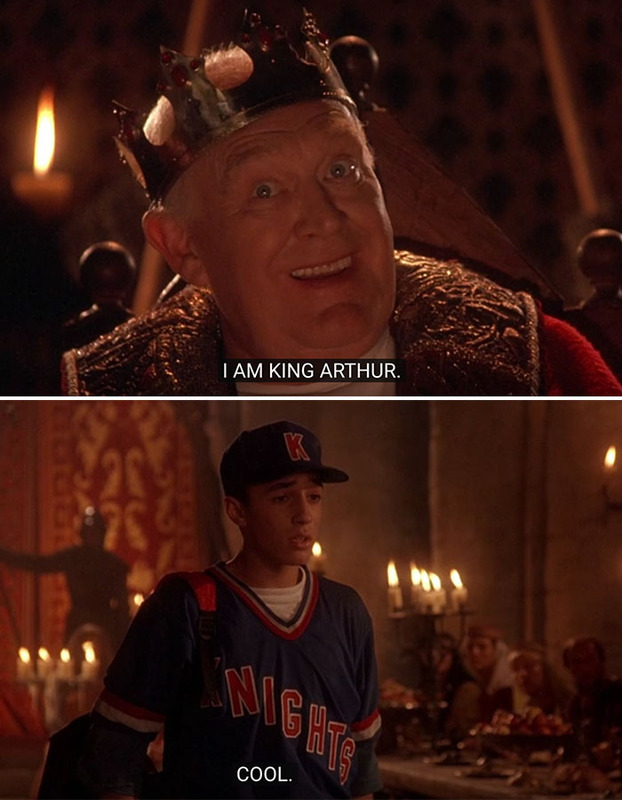 Hey, remember that Disney movie A Kid in King Arthur’s Court? 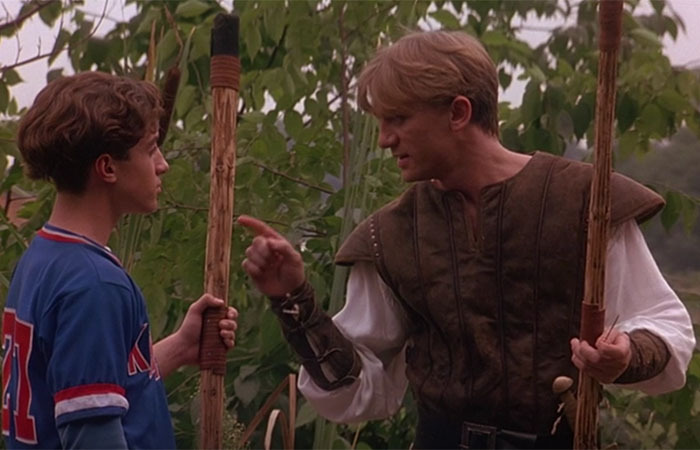 You know, the one about the “dorky” but actually really attractive kid named Calvin who gets sucked into the ground during a baseball game and finds himself in mythical medieval England?? He introduces cheeseburgers, rollerblades, and Walkmans to a royal court and is really good at jousting, despite the fact that he’s from Reseda, California and has never ridden a horse before. Oh, and also, even though he wears his baseball uniform every single day, he wins the heart of Princess Katey, who made all of us want to change our names to Katey. Ringing a bell yet? 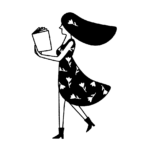 Here’s the trailer for a refresher. This prestigious ~film~ came out in 1995, around the same time as The Big Green and Angels in the Outfield, two other movies where underdog kids are bad at sports until they save the day by using their “nerd” powers. It still holds a (kind of harsh) 5% rating on Rotten Tomatoes, but don’t let that tarnish your memory of this, ahem, classic. If you’re a ’90s kid like me, back in 1995 anyone over the age of 11 might as well have been 30 — grown ups all looked the same. At the time, you knew fourteen-year-old Calvin was young enough to maybe ask you to the middle school dance, and the geriatric King Arthur was old enough to be friends with your mee-maw and pop pop, but anyone in between blurred together. Which probably why you missed the appearance of these two rising stars: Kate Winslet and Daniel Craig. Proof everyone’s gotta start somewhere! 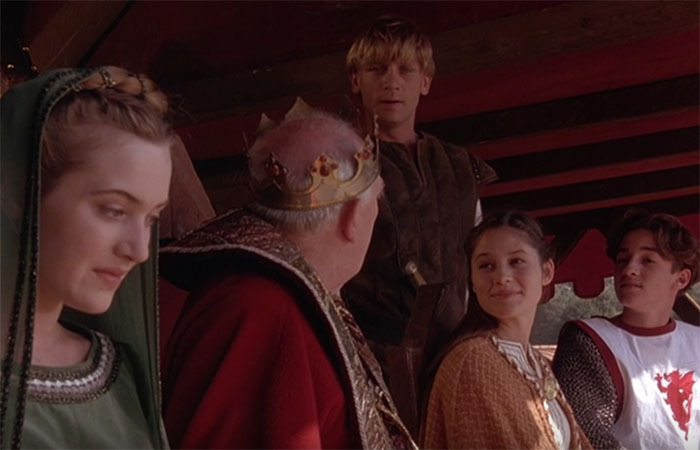 AKINKAC — which is what us diehard fans call the movie, try and keep up — ends with a dramatic tournament where men dress up like The Tin Man and fight each other for the grand prize: Princess Sarah’s hand in marriage and the right to rule Camelot as king. It’s basically like Game of Thrones minus the dragons, plus some Burger King references. 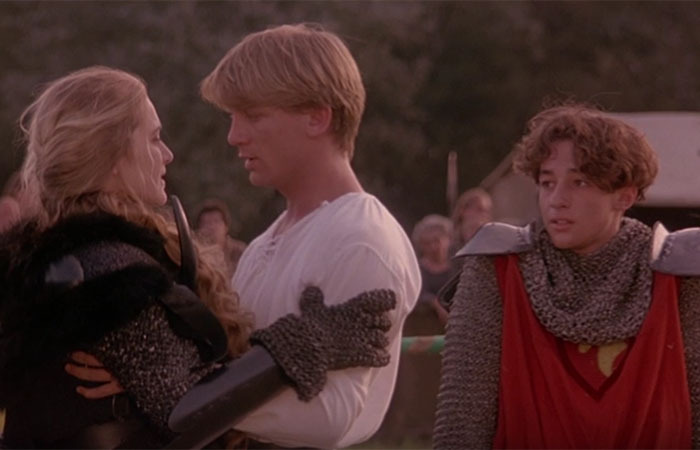 Here’s the twist: Sarah disguises herself as the Black Knight and wins her OWN hand, which means she can run off with the local stable boy, Daniel Craig. As a child, this was totally over my head, but…go Kate! Daniel Craig wasn’t exactly giving James Bond vibes with this bowl cut and tights, but now that I’m not in kindergarten, I can see why the Mouse cast him as Princess Sarah’s pauper love interest. He makes a hunky knight! 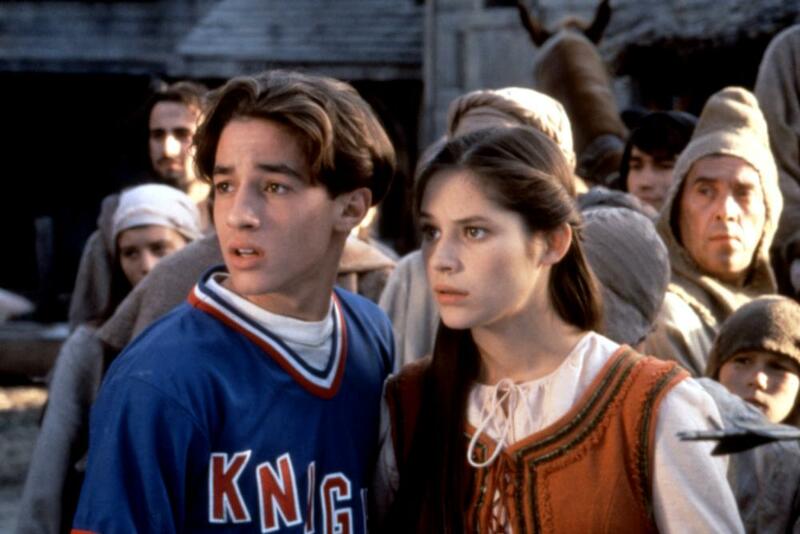 Bonus fun fact: The actor who played the mysteriously sickly King Arthur was the same guy who played HANS in THE MIGHTY DUCKS!! His name is Joss Ackland, and according to IMDB, he’s been in over 100 movies – dang! If this information doesn’t make you want to beg your mom to take your to Blockbuster so you can rent all of your favorite ’90s sports movies, I have failed you as a writer and as a friend. 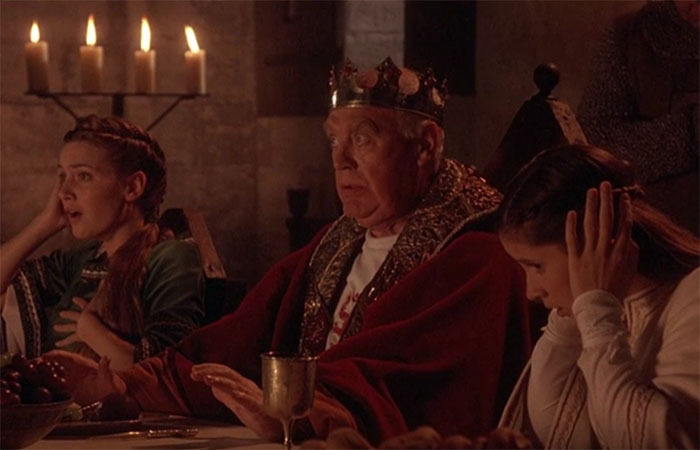 You can rent A Kid in King Arthur’s Court on YouTube for $3 in case you accidentally left your Blockbuster card at Claire’s or laser tag or in the year 2001.